The president should condemn violence at home, and hold himself accountable for violence abroad, as well. After the shooting death of Hadiya Pendleton, the 15-year-old honor student who had, just a week before her tragic death, performed along with her high school band in the president’s inauguration ceremonies, the Black Youth Project started a Change.org petition asking President Obama to come to Chicago and address the gun violence plaguing the city. Initially, I read it skeptically. There’s a tendency to want the president to respond to every crisis everywhere, even when his intervention would do little to help. What real impact would a presidential speech or two have in reducing the violence? None that I can see. But that really isn’t the point. The president should go to Chicago. Even if it’s not for Hadiya’s funeral, which the first lady will attend, he should go to his adopted hometown sometime in the near future, meet with local community leaders, his old chief of staff turned mayor, family and friends who have lost someone to guns, and children of all ages that currently live in fear of their own neighborhood. He should offer them, as he did the families in Newtown, reassurance that they are not alone. He should use the bully pulpit, as Cathy Cohen told The Washington Post, “to command the attention of the country, raising their consciousness about the life and death issues facing young people in Chicago.” He should listen intently to their concerns and engage them in dialogue about their ideas for solutions. He should get the country to focus on them, care about their future and stop writing them off. They should feel like someone cares. Then he should explain to them when and why he thinks their government has right to kill them. He should tell them about Anwar al-Awlaki and why, like Hadiya, his son has become a teenage symbol of a culture of violence. 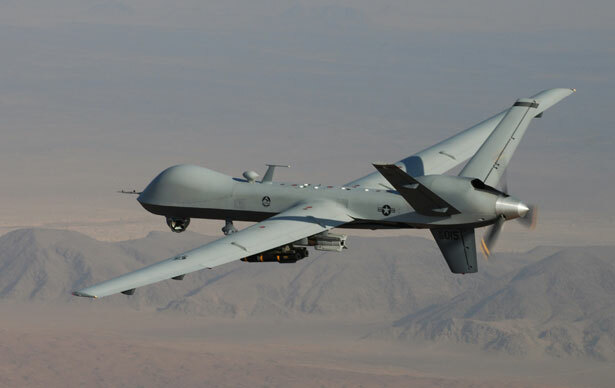 He should explain who makes the decisions and what criteria they use to determine who poses a threat so imminent the United States ignores habeas corpus in favor of unmanned drone strikes. He should explain why, as David Cole writes in the Post, this policy remains “secret in most aspects, involves no judicial review, has resulted in the deaths of innocent civilians, has been employed far from any battlefield and has sparked deep anti-American resentment in countries where we can ill afford it.” They should understand what’s being done in their name. He should ask them if they’re OK with that. When he leaves Chicago, the president should travel to Pakistan, and Yemen and Somalia, where he should deliver similar speeches to the families and friends of those who have lost someone to a drone. He should explain to them the endgame. He should tell them how long this is going to last. He should tell them how many Al Qaeda number-twos we have to kill before we feel safe enough to end the “war on terror.” The president should tell them he cares about their lives and futures just as much as he cares about the citizens in his own country. They should know how long their kids have to live in fear of the sky. I don’t wish to conflate the issues and act is if they are precisely the same, but I also don’t wish to pretend the violence abroad isn’t reflected in the violence in our streets and vice versa. And I don’t expect that this would put an end to drone strikes, targeted killings, assassinations and the like, much the same way I don’t anticipate a speech or two about gun violence in Chicago would put an end to shooting deaths there. What I’m suggesting is the president, and the rest of us, recognize our contradictions and be more vigilant in addressing violent behavior no matter where it’s directed and by whom. Obama should go to Chicago and ask the country to hold itself accountable for the violence we’ve allowed to terrorize a community. Then he should hold himself accountable, too. We need to take more steps to make sure what happened to Trayvon Martin won't happen again, Mychal Denzel Smith writes.